Women who ate more produce had less bladder cancer risk than those who ate less, researchers at the University of Hawaii Cancer Center said. Researcher Song-Yi Park and colleagues at the University of Hawaii Cancer Center said the investigation was conducted as part of the Multiethnic Cohort Study, established in 1993 to assess the relationships among dietary, lifestyle, genetic factors and cancer risk. The researchers analyzed data collected from 185,885 older adults during a period of 12.5 years, of which 581 invasive bladder cancer cases were diagnosed -- 152 women and 429 men. After adjusting for variables related to cancer risk, including age and smoking, the researchers found women who consumed the most fruits and vegetables had the lowest bladder cancer risk. The study, published in the Journal of Nutrition, found women consuming the most yellow-orange vegetables were 52 percent less likely to have bladder cancer than women consuming the least yellow-orange vegetables. The data suggested women with the highest intake of vitamins A, C, and E had the lowest risk of bladder cancer. 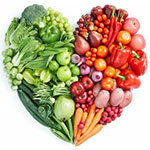 No associations between fruit and vegetable intake and invasive bladder cancer were found in men. "Our study supports the fruit and vegetable recommendation for cancer prevention," Park said in a statement. "However, further investigation is needed to understand and explain why the reduced cancer risk with higher consumption of fruits and vegetables was confined to only women."